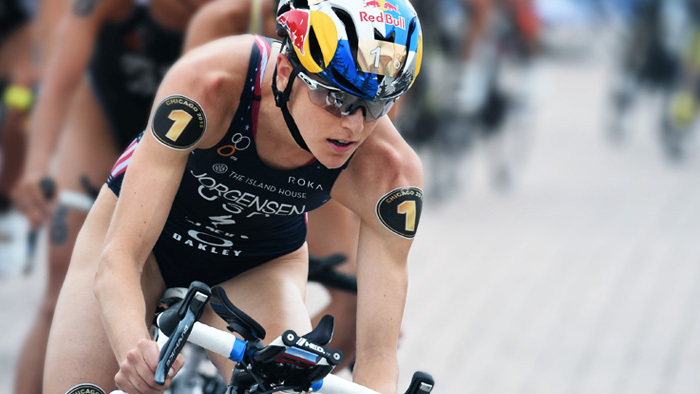 Since a flat tire led to a disappointing 38th place finish at the 2012 London Olympics, American triathlete Gwen Jorgensen has set her sights on winning Gold at the 2016 Olympic Games in Rio de Janeiro, Brazil. While she went undefeated from May 2014 through April 2016, it is the dream of stepping on the top podium spot in Rio that has driven her to become her best. Splitting her time between Australia, Spain, and the United States, Jorgensen relies on the help of her coach Jamie Turner to create the right program. Since moving to Turner after the disappointment in London, Jorgensen has made some changes to her training. Among those was using data to track her training and racing. “I never used a GPS watch until I started training with Jamie,” says Jorgensen. “Since then, I have used GPS and an SRM power meter to track my data. Jamie then is able to use to this data to help me improve. He is able to look at data from races and recreate similar situations in training to help simulate racing scenarios.” The details that the data provide are crucial for Turner to be able to make adjustments, plan the right sessions, and make sure Jorgensen is in peak form in Rio. As a team, they use data not just to review the workout of the day, but also to look back and learn from previous training blocks in order to create the optimal training plan for the future. “I upload my workouts to TrainingPeaks wherever I am in the world. It has graphs which allow me to see my progress in cycling and running from year to year and season to season. Using it allows me to easily see when I have produced my highest power or fastest speed as well as my current power and speed,” she says. Jorgensen logs nearly every workout to make sure that her full training and racing history can be reviewed. From January 1, 2016 to June 30, 2016 Jorgensen has loaded 137 swims, 110 bikes, and 171 run workouts, a total of 461 hours, to her TrainingPeaks account. Having a full history of workouts is critical to getting a full view of what she is doing, what her training load is, and to make sure she is in peak condition on race day. While data is important, Jorgensen stays motivated by relying on the process and trying to become better each day. “I focus more on process rather than the outcome,” she says. “Often, the outcome is out of our control, but we can control the processes that get us to the outcome.” She also doesn’t stress about workouts that may not have gone according to plan, “I know that every day will not be a personal best in terms of power and speed, so I try not to overanalyze,” she says. Of course winning Gold at Rio is her biggest goal, but she is also competing in the 2016 ITU World Triathlon Series, an international series of races that is the primary Olympic qualifier and which determines the World Champion. To balance these two major goals, Jorgensen and Turner have planned her race schedule carefully. “The World Championship is decided by five races plus the Grand Finale,” she explains. “I am able to choose five or six races that suit my strengths and are easy to get to. Jamie and I usually decide on races based on location and convenience to where I am training. 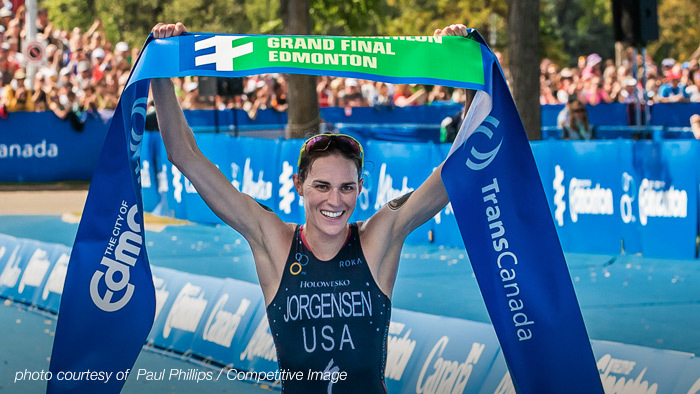 Traveling across the world multiple times a year takes a toll on the body, so we try to eliminate long haul flights.” Already this year, Jorgensen has competed in four WTS events, winning two of them. With those races behind her, she is now fully focused on the Olympics. Jorgensen will line up in Rio as a heavy favorite to win the Gold medal. With the help of her coach, she has blended the use of data with staying focused on the long term process in order to create the best plan for her. By learning from the past and monitoring the details, Jorgensen will arrive on the start line ready to achieve her goal.